This post contains affiliate links – which means I may receive a small commission if you purchase something. For more detail – visit the FAQ. My friends love a good party game, who doesn’t? The challenge comes in for the hostess – deciding the best game(s) to fit the ambiance of the party. 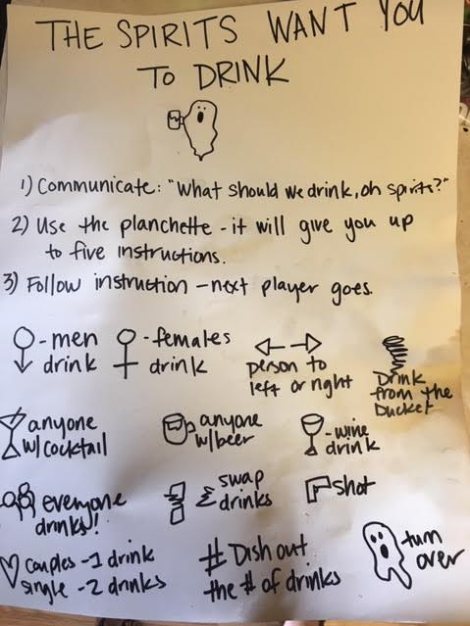 Well, for our seance themed Halloween party, I knew that our friends loved a good drinking game. 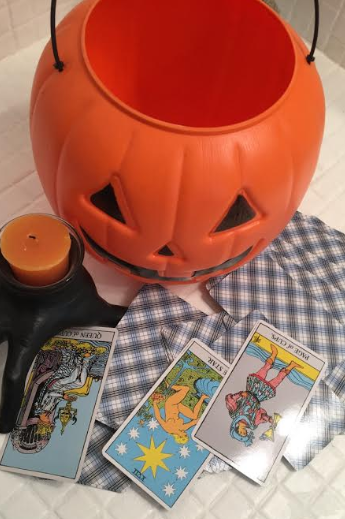 Past parties would always result in the classic drinking games with a deck of cards – but it’s Halloween, so I brought out the Tarot deck. Fortunately, the Tarot deck is aligned with any deck of cards – but has bonus options for more fun. Additionally, I wanted to utilize my glow-in-the-dark Ouija board – so I hit the internet. 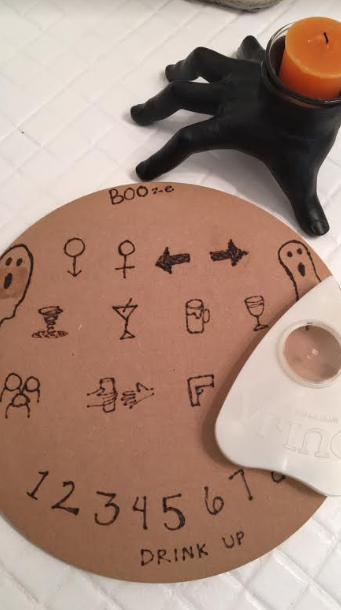 It turns out that there are Ouija boards that are altered for drinking, but I honestly didn’t want to spend the money – so I made my own. I had a piece of craft wood and my wood burning tool, and made up my own rules. It was a super fun and easy DIY that worked out really well. I just used the planchette from my Ouija board to drive the fun. Our guests loved playing the games and they were both huge hits. Surprisingly, the “bucket” was rather tasty. Good luck!